The Opposition will also raise the issues of China, Jammu and Kashmir and Darjeeling unrest and impact of Goods and Service Tax among other issues. NEW DELHI: The Congress is set to raise mob lynching and farmers' issue as the third day of the Monsoon Session of the Parliament begins here today. The Lok Sabha was adjourned yesterday following an uproar by the Opposition. 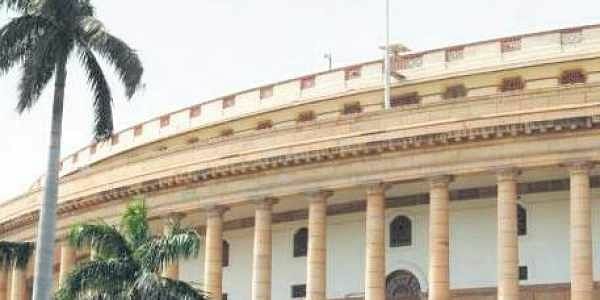 The Lower House was adjourned for the day on Monday too after an obituary to former members and victims of the Amarnath terror attack was given. The dastardly Amarnath terror attack was strongly condemned by the Lok Sabha MPs. The Monsoon Session of the Parliament will continue till August 11. The Opposition will also raise the issues of China, Jammu and Kashmir and Darjeeling unrest and impact of Goods and Service Tax (GST) among other issues. Apart from this, the Centre will introduce 16 new bills in both the houses of the Parliament for consideration and passing. Ahead of the Monsoon Session, Prime Minister Narendra Modi, while addressing the floor of leaders of parties of the Rajya Sabha and Lok Sabha at the national capital, said that for preserving the institution of Democracy in India, it is important that all political parties support the Government to conduct business in both Houses of the Parliament without disruption and constructive discussion takes place on issues of national importance. Prime Minister Modi further urged all parties to extend their support to the Government in fighting corruption and the issue of communal violence in the name of cow protection. The Prime Minister also called upon all the parties to support the war against corruption, which has been initiated by the government.